While the club assure it’s progressing, no public institution knows anything about the planned 23,000-capacity stadium. Or that’s what Coventry Telegraph and Sky Blue Trust managed to establish. 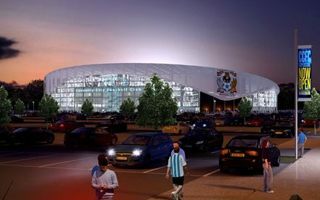 It’s been over a year since Coventry City first presented renderings of their anticipated new stadium. At that time, in December 2013, it wasn’t clear whether these are actual plans or a negotiating tactic with Arena Coventry Limited, with whom the club was at odds. Then in early 2014 City announced details would be available in “about three weeks”. Since then no announcement was made, though the club still argues the project is progressing. There appears to be little public progress on the claims of owners Sisu that they intend to create a new home for the Sky Blues in the Coventry area so that the club can become financially sustainable. In two separate attempts to gain any insight on the plans, Coventry Telegraph and the Sky Blue Trust submitted Freedom of Information (FOI) forms to 17 institutions which the club would need to address in order to progress with their plans. Those include the police force, road management and local boroughs, among other. Between the two rounds of FOIs, a total of 17 organisations responded to say they have not been involved in discussions with the club in the past 12 months. Worth mentioning, under the terms of the FOI Act, organisations can refuse to respond if the information is deemed commercially sensitive. However, none of those asked adopted that stance, instead categorically confirming that no such discussions had taken place.